Back in the 1940's, flocks of a certain type of birds were sold in New York City as "Hollywood Finches". But it was already illegal to sell or possess migratory birds by then, and a lot of Hollywood Finches were freed by vendors when they thought they were about to be caught. 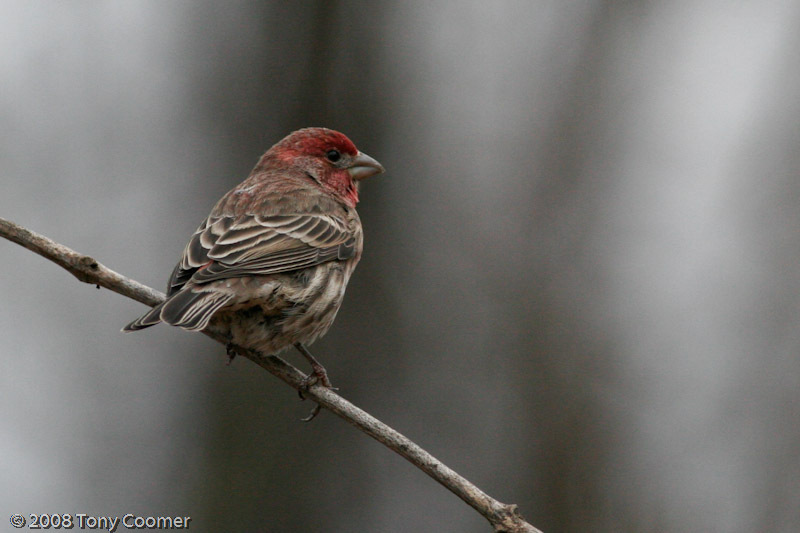 This is how House Finches came to exist in the eastern United States. For a long time, the birds had trouble surviving in their new environment, but eventually, they grew in large numbers and began competing with the more abundant House Sparrow and the native Purple Finch. 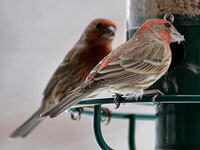 Permanent residents in Northern Virginia, House Finches are sparrow-sized. The males have bright red feathers on the forehead, eyebrow, breast and rump. The rest of the body is streaked brown. Young males have orangish or yellowish plumage on their head and breast instead of red. It is said that the more red a male is, the more attractive he is to the female. 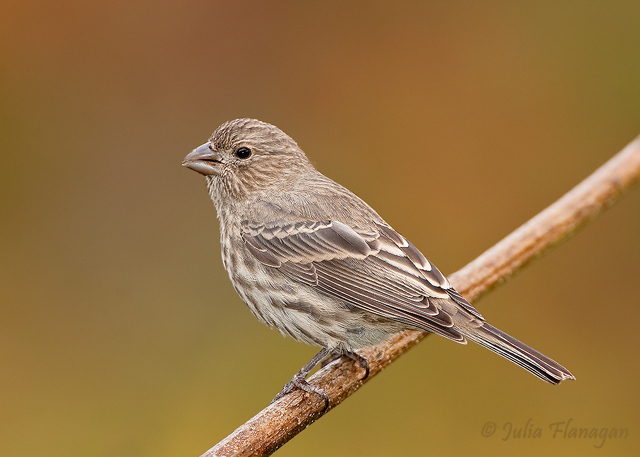 Female House Finches look similar to female Purple Finches, but are more finely streaked and without contrasting stripes on the head. Their nests look like cups and are made of grass and are stuffed into bushes, thickets, natural cavities or in holes in buildings. 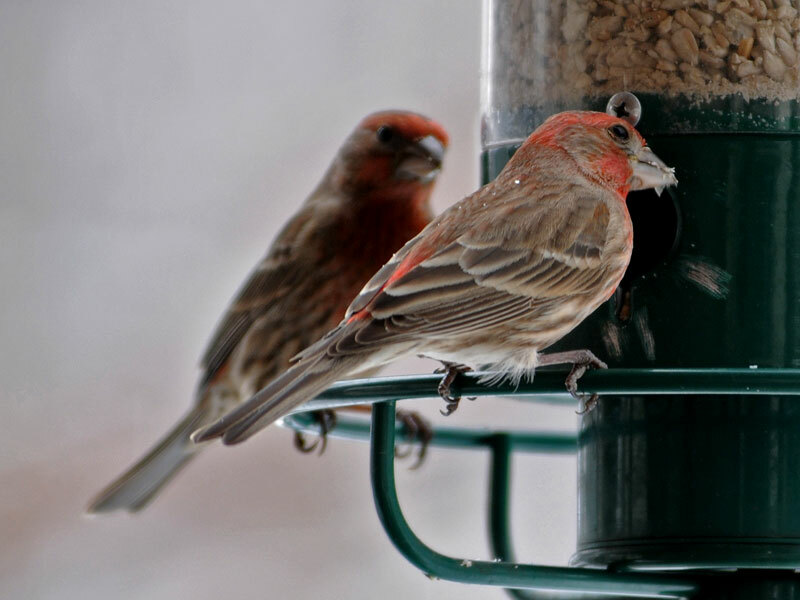 Female House Finches lay 4 or 5 pale blue eggs that are lightly spotted black. House Finches like to sit on top of tall trees and other structures high above ground and sing, sing and sing some more. 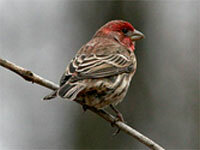 Their song is similar to that of Purple Finches, but is thought to be less musical. 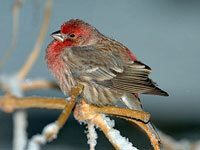 You have probably already heard the House Finch sing without realizing it, as these birds like to live where you live. They are common in urban and suburban areas in the Eastern United States. 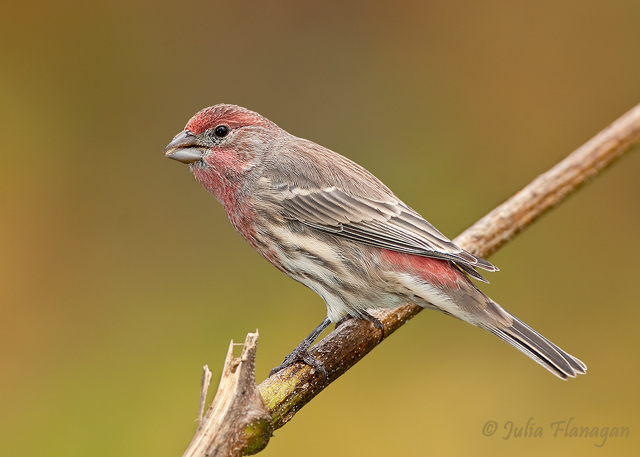 If you still don't think you've ever seen a House Finch, look over at your birdfeed right now. They eat many different types of seeds including thistle, millet and sunflower. They also eat insects and fruits in the summer and like to drink maple sap.